At Huawen, people are at the heart of everything we do. We aim to create sustainable futures, for all stakeholders including our employees. Our employees come from a number of countries, cultures, and disciplines, all bringing their own unique twist to the Huawen story. Kai is a serial entrepreneur who has overseen the start-up and successful operation of several companies in both China and Europe. He is the founder of Kylin Prime Group, Huawen Foundation, Huawen Institute, The Chinese Weekly, Kylin Fund, and Ousheng and Partners. Highly experienced in international affairs and organisational development, Martin has worked in complex business, political and regulatory environments. He has lead teams involved in mergers, JVs and partnerships, and coached executives from the world's leading brands. Michael has extensive hotel, leisure development and refurbishment experience having overseen project rollouts in excess of 150 million euros. Michael holds a Bachelor of Commerce, Masters in International Hotel Management and is a Chartered Marketer. ​Holding a MPil in Finance from University of Cambridge, Zoe has broad experience in the financial field and is adept in investment analysis and project management. She also possesses knowledge of macroeconomics, and financial instruments and markets. Zimo's career began in a well-known broadcasting company in China. 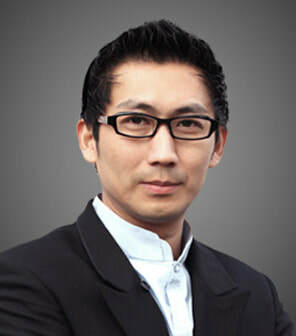 After receiving MA from University of London, Zimo has been in charge of global marketing. She has a wealth of experience in marketing campaigns and is closely involved with all projects. Holding a BA and MA in Political Communication and post-graduate diploma in European studies, Michelle is engaged in many areas including fund issues, legal, HR and communications. She had previously worked in project management, and with members of the Irish parliament. ​Kevin graduated from the University of Hertfordshire with a degree in Computer Science. He has experience in both engineering and computing. Kevin is in charge of client relations and is responsible for ensuring clients receive an excellent and comprehensive service. Ann is a specialist in the provision of global residency solutions and entrepreneur/micro -enterprise investment funding. Ann has served as a board member in a number of government agencies and is experienced in assessing Government funding applications. ​Eoin’s academic background is in linguistics, intercultural studies and Chinese translation. He previously worked as an assistant lecturer in Dublin Institute of Technology. Eoin is responsible for all matters relating to education. He has obtained HSK 5 (CEF C1) in Chinese. A fully qualified ACCA member holding a Master Degree from UCD, Suyi has vast experience in the fund administration industry, and is well-versed in the various kinds of fund, including; hedge funds, mutual funds, index funds, private equity funds, and various financial derivatives. Holding a masters degree in Banking and Finance from Smurfit School of Business, Tony is a qualified solicitor and has a wide range of experience in Legal and Regulatory Compliance and has held senior positions in Irish and Luxembourg financial services companies. Lihong focuses on marketing relating to global investment and immigration. She has an extensive background in European investments and is devoted to showcasing the potential of European investments, by ensuring coordination across social media platforms. Wanyan holds degrees in Graphic Design and Industrial Design from Salem State University and Yangzhou University. She gained experience in web and graphic design companies in China and currently works as a web developer in the global marketing team. ​​Fang holds degrees of Journalism and Visual Media. She has broad experience in the advertising industry in China. She currently works in global marketing, social media, video production and customer relationship for Huawen.